Carpet One Floor & Home is proud to be partnering with Nest as part of Nest Pro. This was an easy decision as our two companies share the same values. Our goals are to provide the very best products, installation and customer service. We truly care for our customers and want to make sure that they are comfortable and safe in their homes. 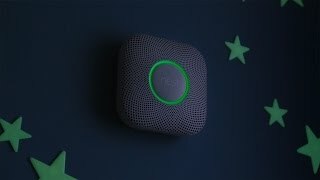 So what is Nest Pro and how do you benefit? From start to finish our team is here for you! Unlike the big box stores, our staff has an extensive knowledge of Nest products so you can be confident that you are getting what you need. Then we will personally come to your home to make sure everything is installed properly. Our installers will also make sure that you understand and are comfortable using the technology that Nest products include. As your trusted experts in the home and flooring category we can provide professional recommendations for ideal temperature and humidity based on the products throughout your house. Upon completion of the installation we will enter our Nest Pro ID into each device so you can easily contact us if any issue arises. And by using us as your Nest Pro, you will receive a 5 year extended warranty compared to the standard 2 years if you were to purchase elsewhere. Nest has quickly become a brand synonymous with smart homes. This is due to their revolutionary technology that other companies simply cannot match. 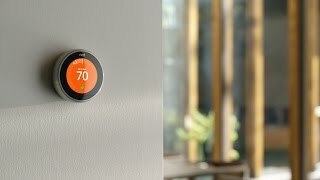 The 3rd generation of the well-known Learning Thermostat has been released as well as other products such as Nest Protect and Nest Cam. With these devices you can relax knowing your home is safe and secure both inside and out. And thanks to the Nest app you will be able to enjoy all of the benefits from anywhere on your smart phone. Nest has released the 3rd Generation of their well-known Learning Thermostat. Be alerted when temperatures are too low or if it seems like your furnace is acting up. Easily see how much energy you save each day and get a monthly report on when you are using the most energy. Nest Protect takes safety to a new level. This smoke and carbon monoxide detector will let you know what room it is coming from and where to go. When combined with the Learning Thermostat, the heat will be turned off when there is an issue to keep it from spreading. Nest Cam has expanded to outdoors. 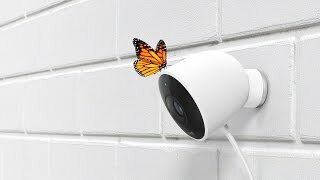 Like the indoor Nest Cam, Nest Cam Outdoor is equipped with HD video, night vision and 2 way audio. So rain or shine, day or night, you can know exactly what is going on outside your house. And with video history you can watch footage from the previous 30 hours. Are you ready for your smart home? Visit us to get started!